Water transport from a borehole with low pH. 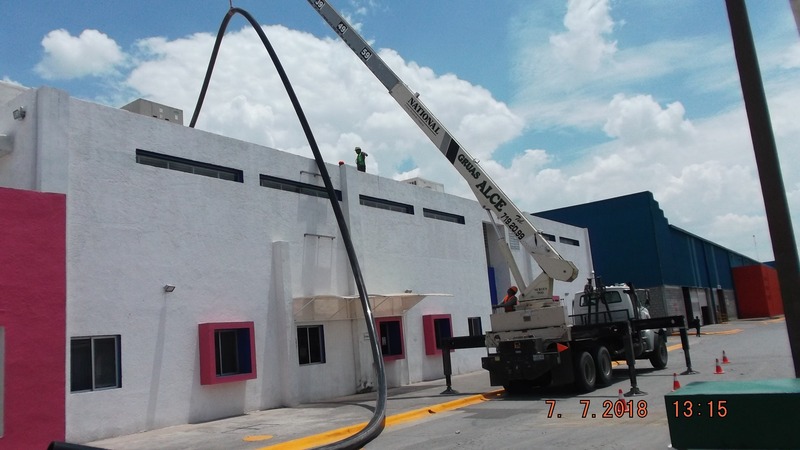 The company CMT La Laguna is a jeans textile factory (Levis brand), which due to its economic growth, saw the need to expand its factory, which led to an increase in processes and as a consequence greater water usage in the manufacturing process. 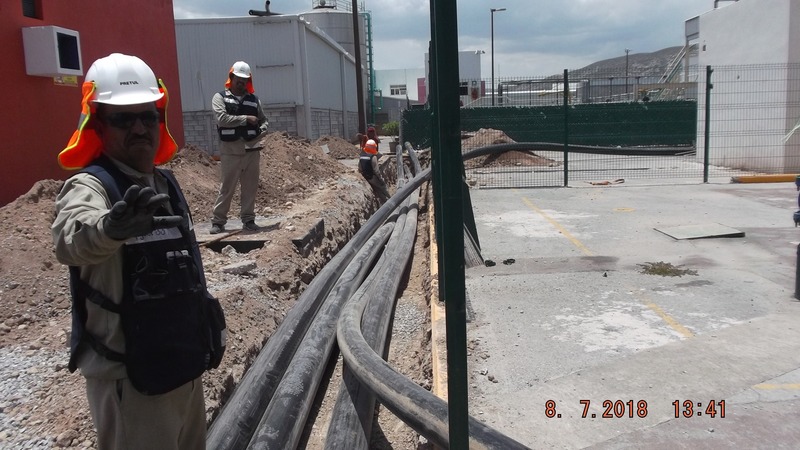 For the installation of the new pipe line to transport water, the line had to cross several sections of the factory. The client initially had thought to cross the factory from the inside, but this was complex due to the large amount of machinery already installed. 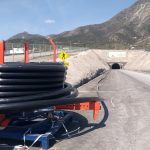 It would also require a lot of labor for the assembly of the connections, due to the length of the line. 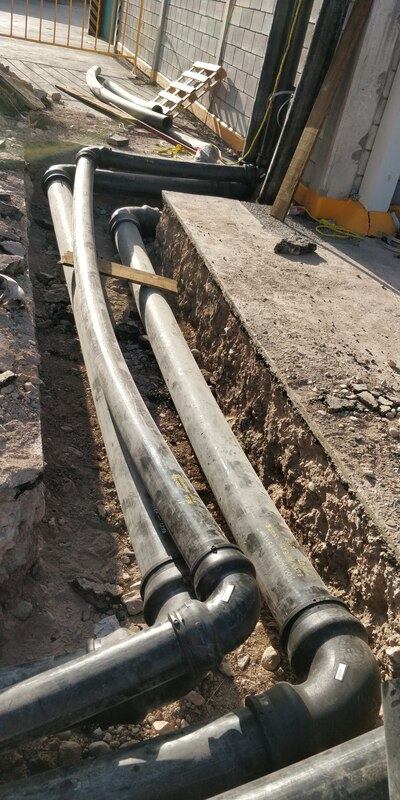 CMT La Laguna decided to install Pexgol pipes. 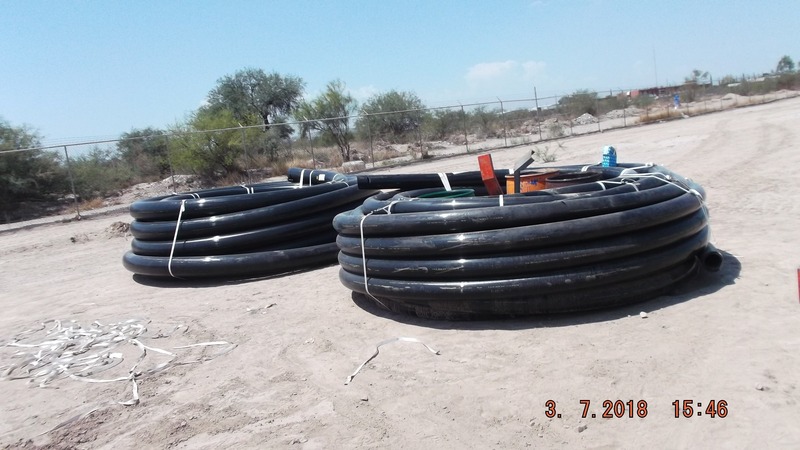 The pipes were offered in sections of 100, 150 and 200 meters, which greatly expedited the installation, since it required fewer connections. 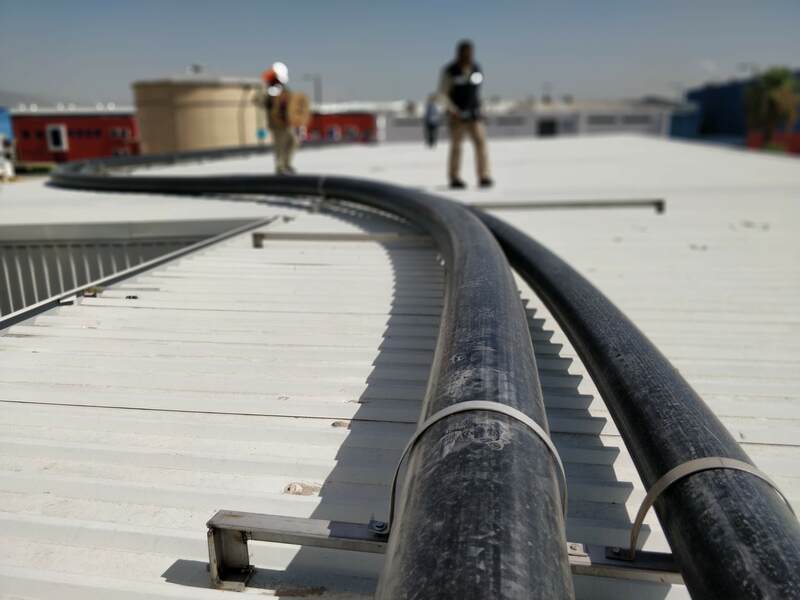 On the other hand, it allowed to save costs since the engineering team of Pexgol suggested the installation of the line on the roof, being able to save on supports and labor for the connections. 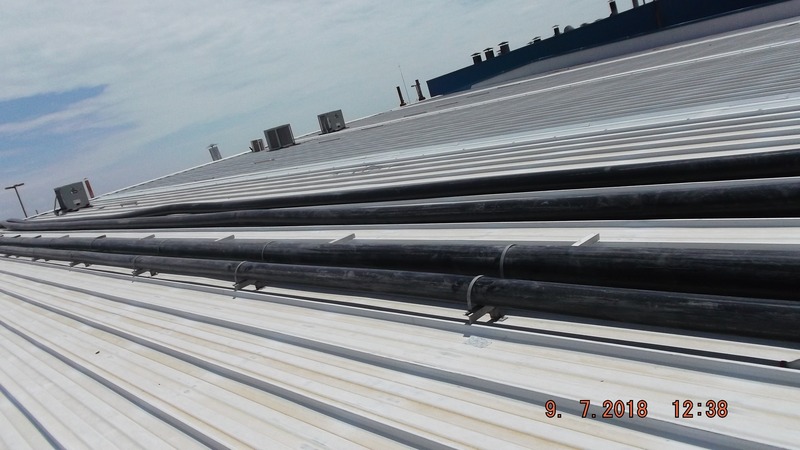 The client would not have been able to do this with other plastic pipes for example, since the metal sheets of the ceilings becomes very hot in summer (up to 60°C) and these would not resist. 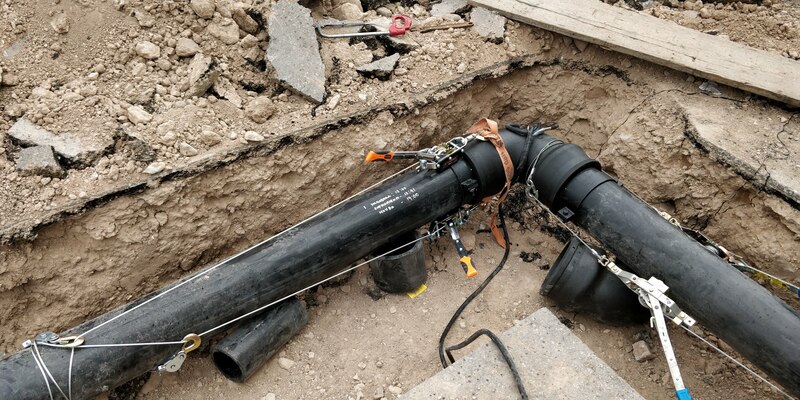 At the factory, it was important that the pipeline look as neat as possible, and having many accessories exposed Pexgol made sure to provide a complete and visually adequate solution. Electrofusion fittings, “t” fittings and elbows were provided. 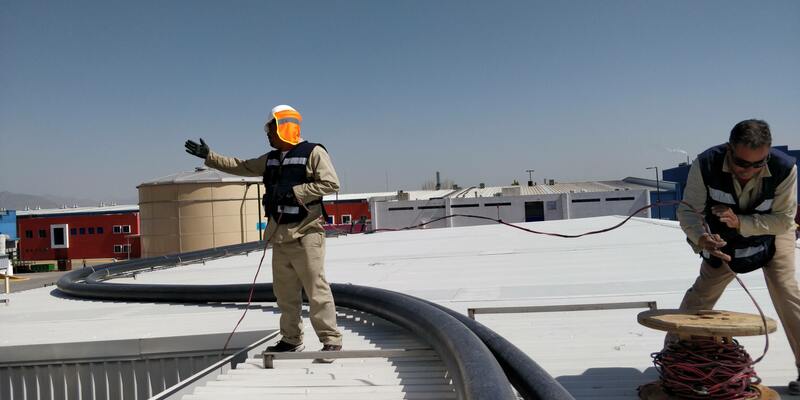 – The Pexgol installation team went to the field and trained the maintenance team of the factory, so that they can do the installation themselves without hiring a third party to do so. 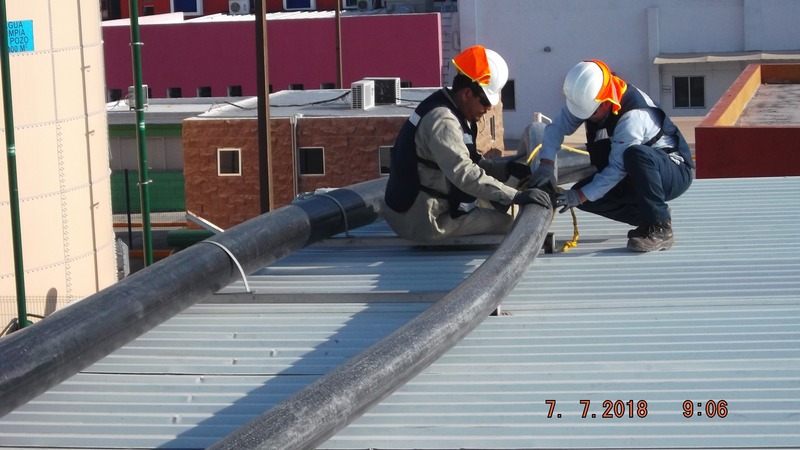 – Pexgol lent the welding tools so that the client did not have to invest in equipment. 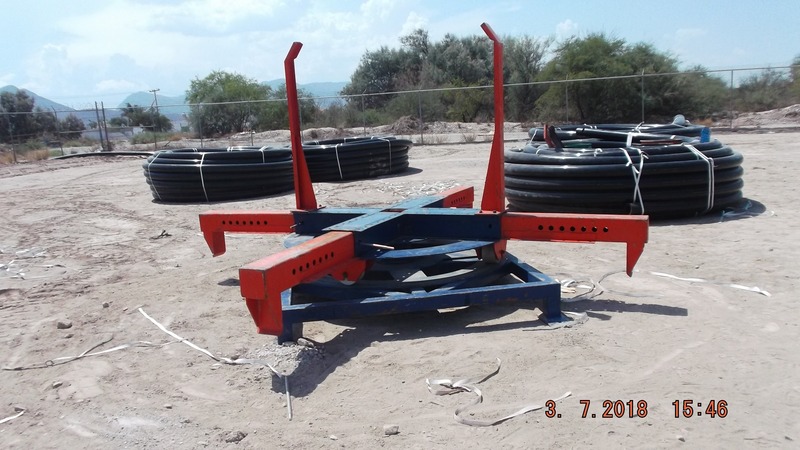 – Pexgol lent an uncoiling equipment to speed up the installation.